We have November’s installment of classic film referenced or shown in music videos. Milton Berle in the 1940s. 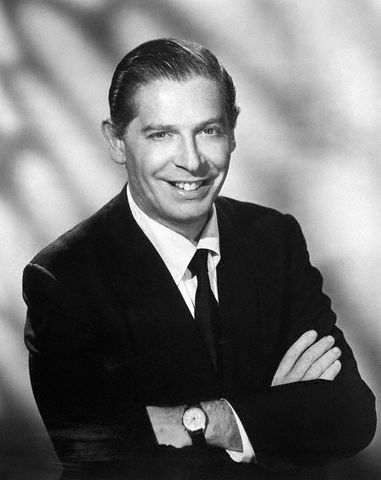 Milton Berle makes a short cameo in the heavy metal song “Round and Round” by Ratt in 1984. You can see him at :23 and also dressed as a woman at :43. Berle started out in films in 1914, but really made his mark in comedy in 1940s and 1950s films and television. The video is pretty weird, if not stupid. I don’t understand why the girl looks like Frankenstein’s Bride by the time she crawls up into the attic. Weird. Check back for December’s classic film reference in music videos. This entry was posted in Music Video Film References and tagged Milton Berle, Ratt by Jnpickens. Bookmark the permalink. Just in case you haven’t seen…you’re next in Round Two of “Classic Film: Six Degrees Of Separation.” Flick Chick began with Carole Lombard, and chose Cary Grant. Link someone to Cary, and a few degrees later, we get to Goldie Hawn. See more at http://flickchick1953.blogspot.com/2011/11/classic-six-degrees-of-separation-tag.html. I did 🙂 Thanks for reminding me though! I’ll get on that tonight! She had to look at least as strange as the band. Believe it or not, her outfit was not weird for the 1980’s.